Deadwyler-Heuman Law Firm, LLC, was founded on the belief that every person should have access to legal representation regardless of income level. The law office provides legal services to people in Macon, Georgia, and Bibb County primarily and throughout the subsidiary counties of Middle Georgia such as Houston County, Crawford County and Baldwin County. The law firm was founded by Ashley Deadwyler-Heuman, Ms. Deadwyler-Heuman graduated from Mercer Law School with a Certificate in Advanced Legal Writing and Research and upon graduating received the Dean’s Meritorious Service Award for her work with low-income individuals. Ms. Deadwyler-Heuman started her career as a public interest attorney through the prestigious Equal Justice Fellowship Program. Her fellowship goal was to work with the Georgia Justice Project to assist individuals who experienced discrimination due to having a criminal background in the Middle Georgia area. That work led her to have a deep appreciation of the long-term consequences of a criminal case and have made her an outstanding advocate for criminal defendants in their pending cases now. Ms. Deadwyler-Heuman has continued her advocacy for the victims of criminal record discrimination through the Second Chance Saturday Program a collaboration between her firm, Mercer Law School, the Macon-Bibb Circuit Public Defender’s Office and the Georgia Justice Project. Ms. Deadwyler-Heuman also practices immigration law. She is a bilingual attorney who speaks Spanish and has a deep understanding of the immigration challenges her clients face due to her work with the Big Brothers Big Sisters of the Heart of Georgia Hispanic Outreach. Her work with the young women she was mentoring in that program and in the Mentors Project of Bibb County led her to add immigration law as one of her primary practice areas. 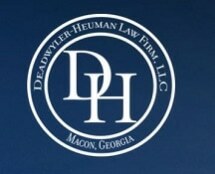 Ms. Deadwyler-Heuman is a member of many legal organizations, which include the Georgia Association of Criminal Defense Lawyers the American Immigration Lawyers Association, the Macon Bar Association and the Macon Inn of Court. She has been admitted to practice in all of the state courts of Georgia as well as the Middle District Federal Court. Ms. Deadwyler-Heuman combines her legal knowledge and experience with genuine concern for her clients and their well-being. She uses a sliding fee scale to help people who do not have much money to pay for an attorney. Ms. Deadwyler-Heuman handles a wide range of cases such as DUI, drug offenses, federal crimes, immigration matters and personal injury matters. She also offers free initial consultations. Ashley Deadwyler-Heuman was more than helpful in getting my speeding ticket reduced. She was able to lower the speed so that it wouldn’t affect my insurance as well as completely get rid of the additional super speeder fine. She was very efficient and timely in resolving the matter with no undo stress or worry! I’d recommend her for any legal traffic issue any day, thanks so much! !